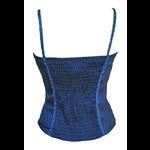 A glamorous rich royal blue corset made from lined polysilk with boning covered on the outside with pretty braid. 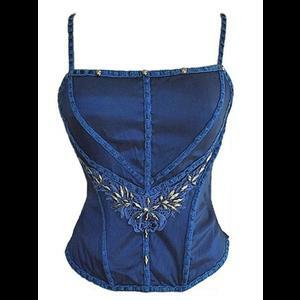 The corset has lightly padded cups and an applique decoration under the bust embellished with gunmetal mirrored jewels. 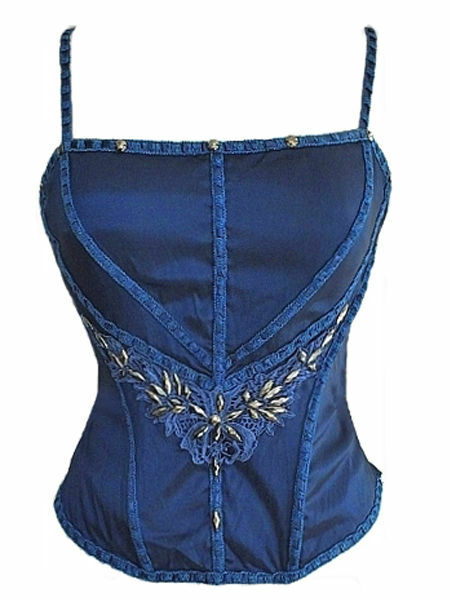 The neckline is decorated with mirrored studded jewels and the back has an elasticated central panel to ensure a snug fit. 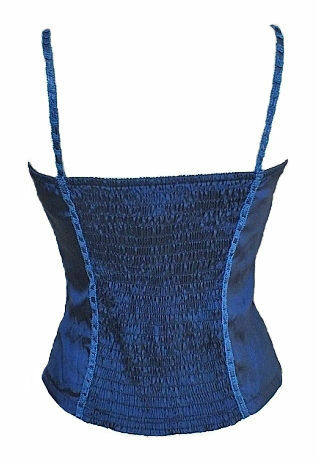 The narrow shoulder straps are made from matching braid and there is a concealed zip fastening on the left hand side.